This is the chest that I painted. The before photo is below. This is the BEFORE photo. 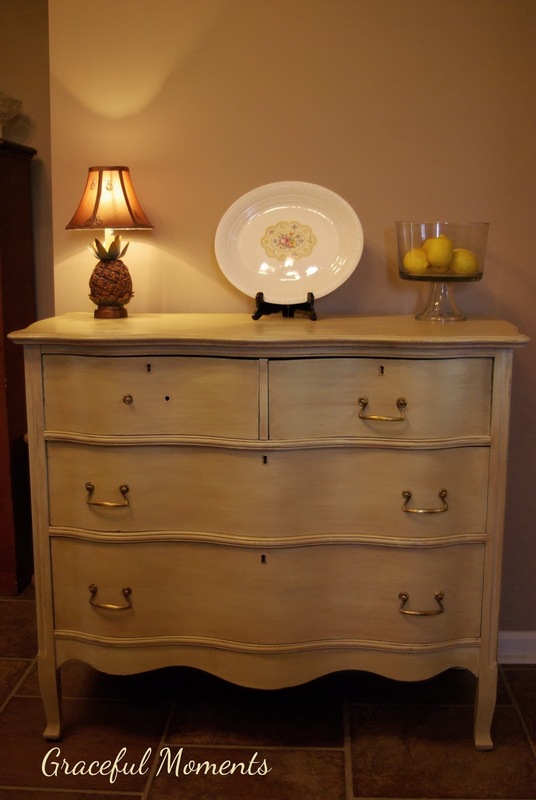 I had started testing my paint on one drawer when I realized I had not taken any photos of the original chest. 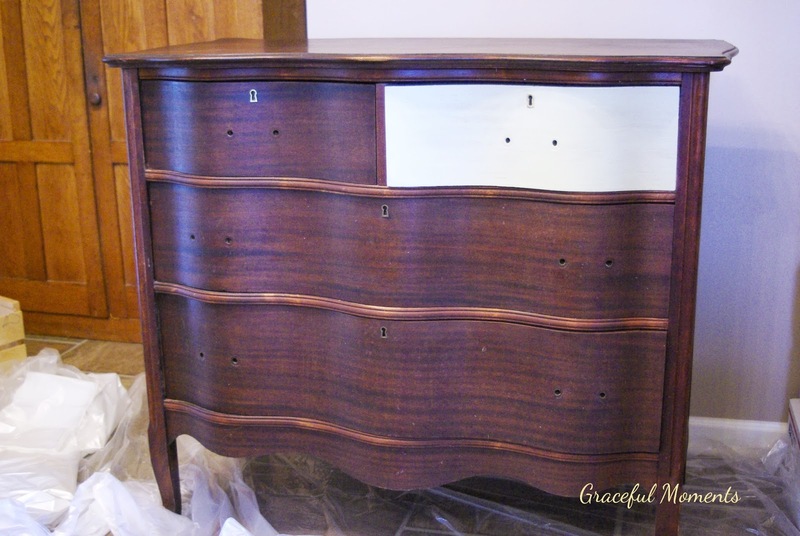 You can see how the stained finish is badly in need of refinishing. This photo is before I lightly sanded the entire piece. Notice the missing brass pull on the top left drawer. It disappeared while I was polishing the pulls. These are antique pulls and very difficult to replace. I have been searching online and have found a few items that might work but none that are an exact match. Makes me very sad. I will have to find a replacement or change all of the pulls. Like I said, it makes me sad. This photo more accurately captures the actual color of the chest. The latex paint was purchased at Lowe’s. 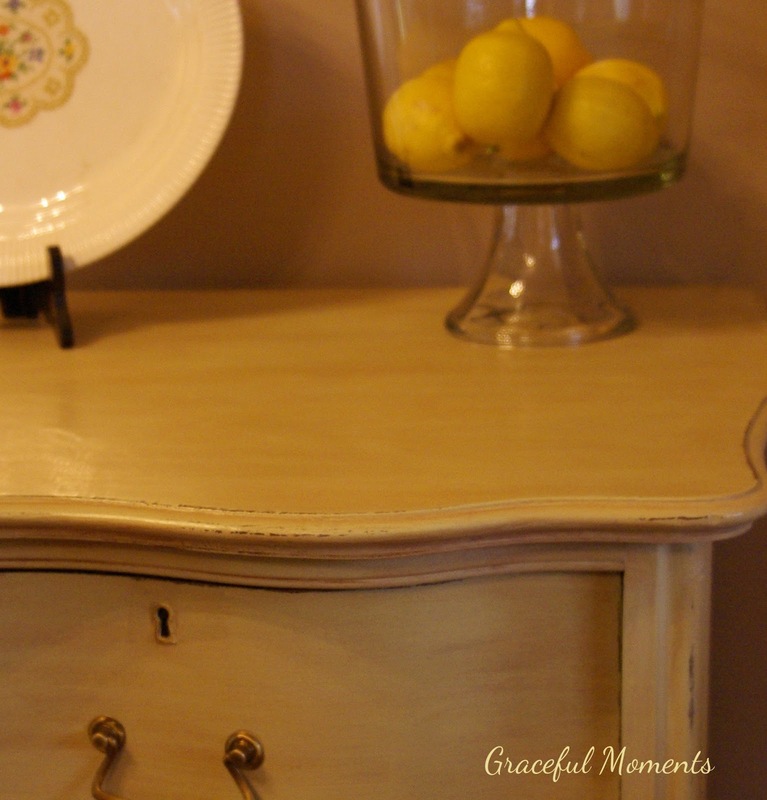 I love their Valspar Signature© base paint. It is a paint and primer mix which saves a step and I am a big fan of saving steps. The color I chose is “Dill.” It is from the Eddie Bauer© Lakeside Cottage collection. I used an unsanded grout, mixed with the paint and a bit of water, to make a “chalk” type of paint. The grout color is “magnolia” and is a very dark green. I was happily surprised that it didn’t change the color too much. This tray is painted with the chalk paint. Notice that it is a much brighter color than the chest. There are two reasons for that. When I lightly sanded the chest and wiped it down with a damp cloth, some of the stain dust must have remained on the chest. 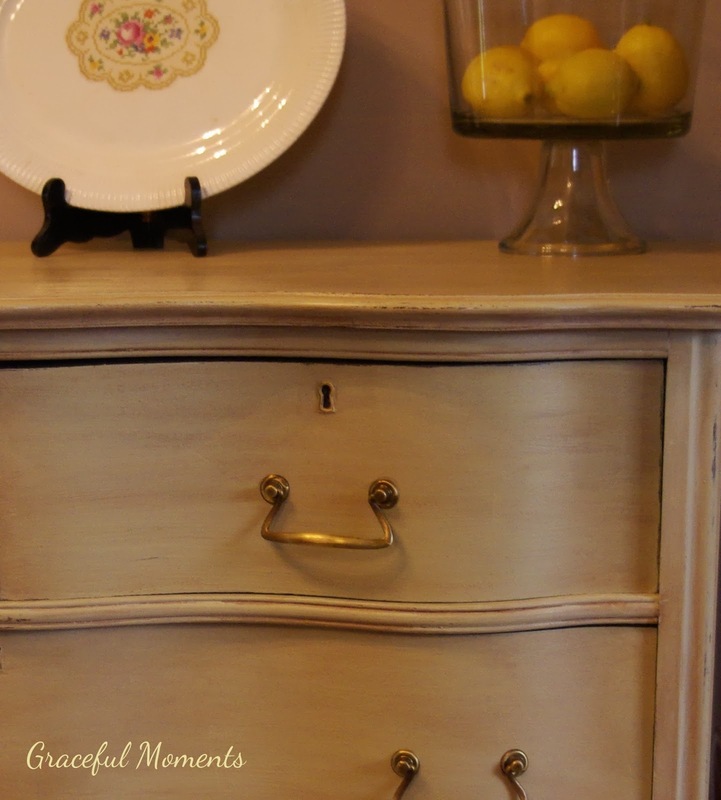 As I painted the chest, I picked up a bit of the stain in each brush stroke. It toned down the brightness a bit and gave nice depth to the color. Happy accident! I toned it down a bit more by using Valspar© “Mocha” translucent glaze on the dry paint. I brushed the glaze on and then took a cloth and wiped it off; similar to how I would use a stain. The next step was to lightly distress the piece with a fine grain sandpaper. The final step was hand waxing the entire piece with Minwax© Paste Finishing Wax. I used the Natural color. This photo and the next one show the nice sheen from the wax and some of the lightly distressed areas. I was hesitant to do this. 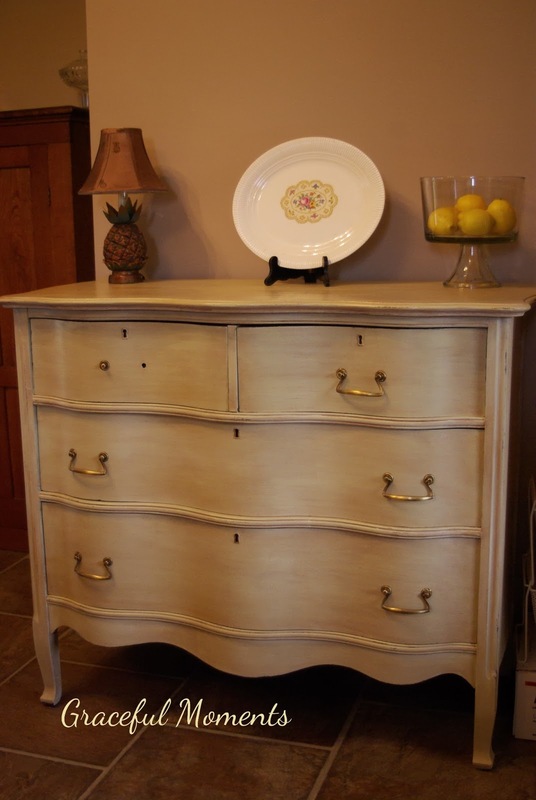 It was an antique piece and probably would have fetched a good price if refinished. However, since I love the chest and wanted to keep it and use it, painting was the best choice. I am really happy with how it turned out. Now, if I could just find that little piece of hardware…. 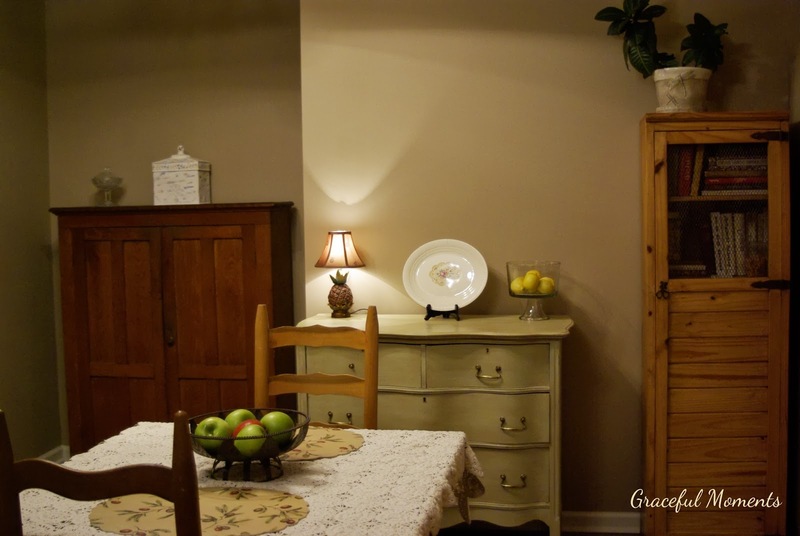 Recipe for the paint: For each cup of latex paint, add 1-2 tablespoons unsanded grout. I used a plastic paint bucket with measurement markers to mix the paint. The paint will continue to thicken while you are using it unless you work pretty quickly. Add water as needed to thin the mixture to the consistency you want. Update: I found the missing hardware in our move to another house! It was stuck inside one of the drawers! Thanks for your visit to my blog and kind comments. I was particularly interested in your choice of paint, it turned out beautifully. I hope you manage to find a handle. 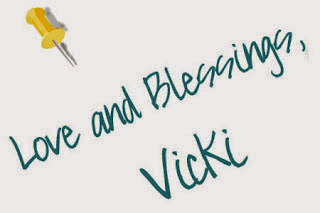 Vicki I LOVE your chest! I can imagine how disappointing to lose a piece of a pull. Boo. I'm crying with you. (I love how those pulls sound when you use them. Clankity clank – can't sneak into those drawers! 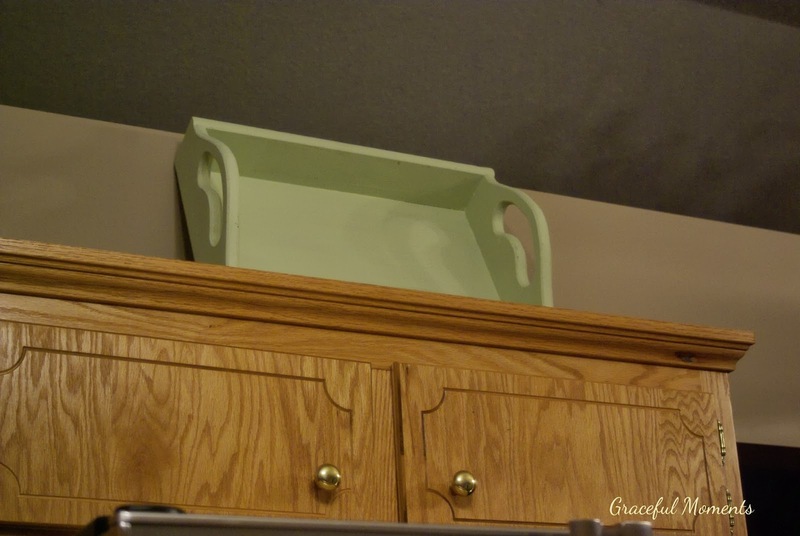 haha) Knowing me I'd be crazy over it, even fashioning a piece out of clay, (hot glue makes a great mold) or buying 2 new pulls for the top 2 drawers so it would look like I did it on purpose. haha Regardless of the missing pull, it turned out really pretty & you should be proud! You have sparked some courage in me to chalk paint mother-in-laws old queen anne table & chairs I inherited, hubby wont part with, & that doesn't really match my house. Thanks for stopping by! Happy New Year & Many Blessings!